Prom night is just around the corner, and you may have the date, the dress, the tuxedo, and the flowers all figured out, but arriving in Waterloo limos is sure to be the highlight of your evening. We take great care to provide quality and affordability when it comes to a young person’s prom night. Parents can rest easy knowing transportation is handled and their teenagers are being well cared for. Many parents may worry about after prom parties or venues. With our services, we guarantee to safeguard our precious passengers, and will even arrange for safe pick and drop off locations. 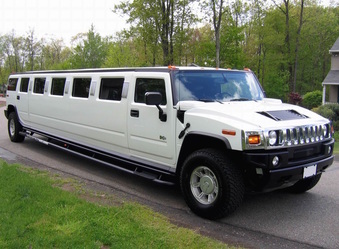 Let Waterloo Limo Services be the one to have you arrive in style and elegance on prom night. We make sure everything is covered on our end for quality and exquisite traveling experience. Be the bell of the ball on your prom night. With our services the party begins immediately with pickup and lasts till the last client is dropped off. Prom is one of the most special nights in a high-schooler’s life. We want you to have the most amazing time imaginable. Our prom specialty packages offer affordable rates and beautiful options. Our interior can be customized to fit the theme of your engagement, and even have a special playlist going so you and your friends can make everlasting memories. Our dedicated staff is here to help you plan the perfect prom night, beginning with amazing transportation. Allow one of our limousines or party buses to accompany you to one of the most memorable events in high school. Our party bus can hold up to 56 people, and is customizable to fit many budgets. Depending on preferences, we have food and beverages available. Our amazing sound systems, lighting effects, and other additives will have you dancing before you hit the prom. Safety is our number one concern. Our drivers know and work with many party venues which may take you and your guests to after prom parties. Rest safe knowing your teen is protected and accompanied by professional drivers who adhere to strict alcohol policies and laws for minors. We’re here to fulfill your every transportation need for prom. Not only will your teen arrive, depart, and travel in style, but they will have more than enough memories to last a lifetime on this incredible night. Let us be a part of it with our exceptional limo services. Parents can rest easy knowing transportation is handled and their teenagers are being well cared for. Many parents may worry about after prom parties or venues. With our services, we guarantee to safeguard our precious passengers and will even arrange for safe pick and drop off locations. 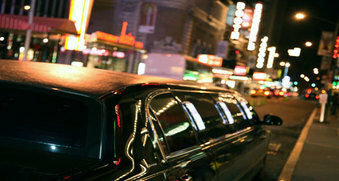 Everything is covered with our superior limo or party bus services. Give us a call at 226-241-8898 to book you prom or wedding party limo bus and arrive in style to celebrate your achievements! We look forward to speaking with you and serving you on your special day!